EVA Air is Certified with the 5-Star Airline Rating for the quality of its Onboard product and staff service, and the EVA Air home base Airport service. Eva Airlines highest class of service is Royal Laurel Class, also referred to as Business/First. Eva offers a total of 3 classes of service; economy, premium economy, and Royal Laurel Class. Pre-order main course from a wide range of menu and additional meal choices over the internet before 21 days and up to 24 hours prior to departure. Eva chooses a variety of famous wines and other alcoholic beverages from around the world to provide the perfect complement your meal. 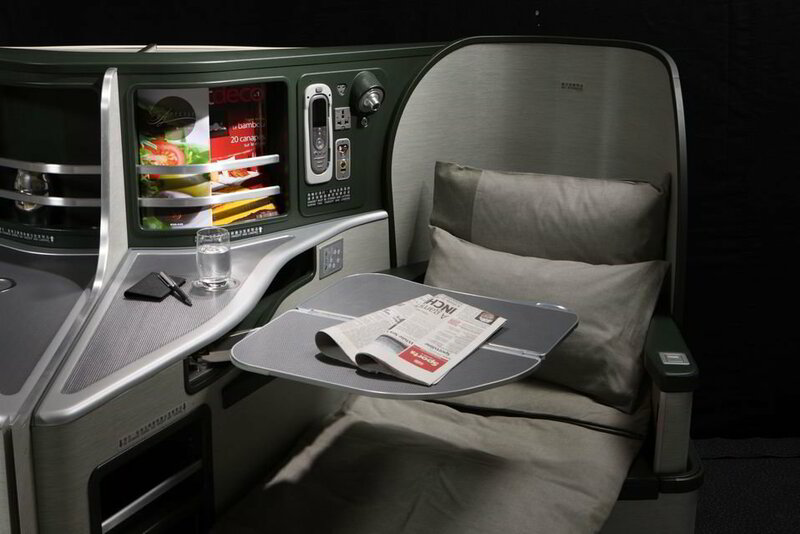 2015 and 2016 EVA Air’s inflight wine selections won the Gold Medal for Best Business Class Cellar at Business Traveller magazine’s prestigious Cellars in the Sky Awards. In addition, their champagne once again received Gold Medal for Best Business Class Sparkling in 2017. The In-Flight Entertainment System offers flight information with innovative vivid 3D display and added Connecting Gate Information(CGI), enabling travelers to check information for the arrival times, baggage collection and connecting flights status. To make flights more atmospheric and less monotonous, the situational lighting system that simulates moonlight and enables the cabin crew to adjust colors. Royal Laurel Class is outfitted with the latest inflight entertainment system, including HD touch screens, noise-canceling headphones, and USB and iPod ports. Generously sized tables and 110V power sockets allow you to work comfortably and efficiently when you need to. The reverse herringbone seat layout and fully reclining chairs of the Royal Laurel Class cabin makes passengers feel as if they are in the privacy of their own rooms. 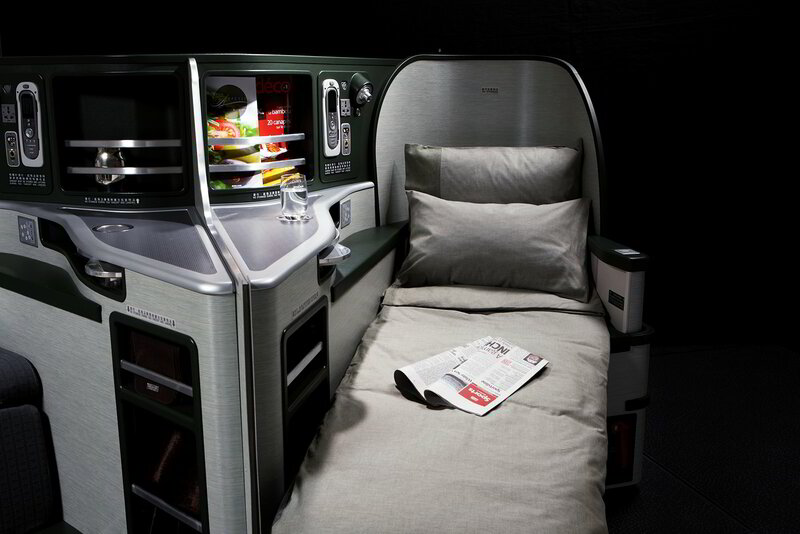 To augment the experience, EVA Air decided to bring pajamas previously available only in First Class cabins, to the Royal Laurel Class cabin. The two-piece sleepwear set is made from a warm, soft. Loose and comfortable, the garments are perfect for slumbering on long-haul flights. Classic cuisines from all over the world are provided for passengers to choose from, and luscious beef steak or delicious lobster is also one of the cuisines you couldn’t miss. In addition to Hors D’oeuvre, Chef’s Special, Sweets and Bread, Freshly Brewed Coffee and Selection of Tea, there are instant noodle, Din Tai Fung and Haagen-Dazs Ice Cream for you to have a wonderful experience while soaring into the sky. A Premium Laurel passenger will enjoy expeditious baggage loading and unloading service. Your checked baggage gets priority treatment and are among the first to be unloaded. 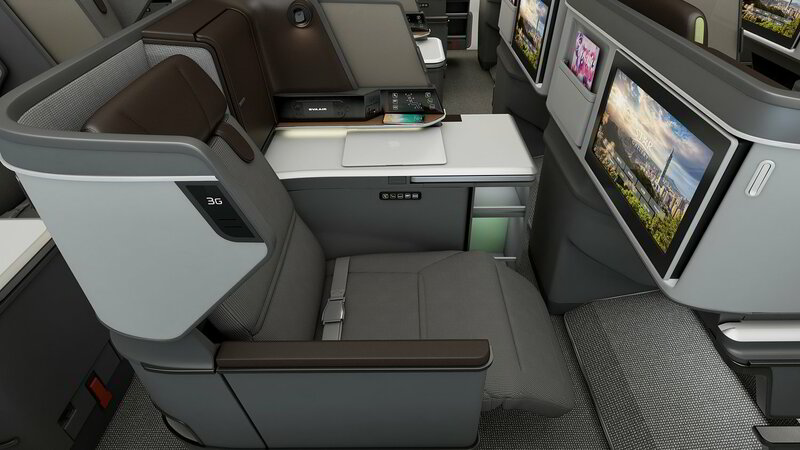 SimplyBusinessClass.com can save you up to 50% off your business class flights with EVA Airlines. Call now or submit our flight request form to receive a free quote.